With only 1,292 (some claim 1400) units made exclusively for the US market, this M429 optioned 924 was made to commemorate Porsche’s victories at Sebring. Aside from the graphics, the Sebring edition also had larger swaybars, and an option for 5-stud hubs with 4-wheel disc brakes like the 931 which makes this particular car even rarer. Road Scholars in Raleigh, North Carolina had this very car for sale. I contacted Cameron Ingram, who is part owner, about this 924 which has since been sold. We began chatting about 924s and I commended him on doing the owners of these early water-cooled cars a huge service by selling such an example. He mentioned he had sold two other low ultra-low mileaged 924s, one with an incredible 71 miles on the clock. Cameron believes that 924s are very important cars in Porsche history and must be treated as such. To give you an idea of how serious Road Scholars are, they restore early Porsches that compete in such venues like Pebble Beach, Amelia Island, and Porsche Parades racking up numerous awards for their impeccable work. Recently featured in the Porsche Club of America’s Panorama magazine, Cameron and Kevin’s business is highly lauded within the Porsche community. 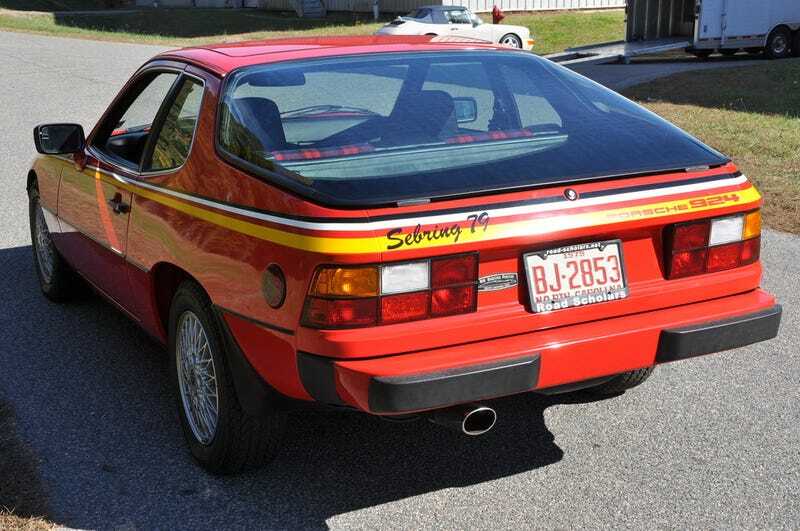 And if they’ve sold 3 museum-quality 924s, that’s a very big deal and a triumph for those of us who champion them.